Every day in the U.S., nearly 100 people are hurt in highway work zone car accidents. Here are more important facts about highway work zone car accidents. While traffic accidents can occur anywhere, when construction zones – or highway work zones – have been set up on roadways, the risk of collisions can significantly increase. This can be due to the fact that, with these zones, drivers will generally have to be more alert while simultaneously navigating new routes and/or narrower roads with other possibly disoriented motorists. Taking a closer look at the incidence and possible impacts of highway work zone car accidents, in this three-part blog series, we will discuss some important facts about these types of motor vehicle accidents. If you or a loved one has been injured in a highway work zone accident (or in any type of traffic accident), the Littleton car accident lawyers at Bahr, Kreidle & Flicker are here for you, ready to help you hold the negligent parties accountable so you can secure the compensation to which you may be entitled. Fact 1 – Nearly 2 percent of all traffic accidents in the U.S. occur in highway work zones. Every day in the U.S., nearly 100 people are hurt in a highway work zone accident. Every 14 minutes, someone in the U.S. is injured in one of these traffic accidents. Every 15 or so hours, someone is killed as a result of a highway work zone collision. While these statistics may be disconcerting, there is some good news here: the rate of highway work zone car accidents has been declining steadily since 2002, dropping by more than 50 percent over the past decade or so. 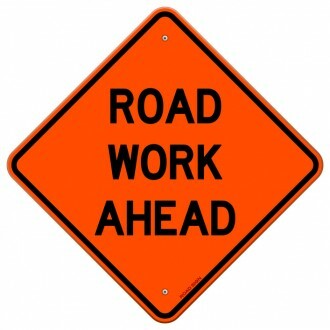 Fact 2 – The vast majority of highway work zone car accidents occur during the daytime. There are substantially more vehicles on the road during the daytime hours (as opposed to the evening and nighttime hours). During the daytime, there are also usually more workers in highway work zones. Although some of these zones may be operated at night, even if they are, the mere fact that there is less traffic on the roads at night can mean far less opportunities for vehicles and workers in these zones to make contact and be involved in collisions. For some more important info about highway work zone car accidents, be sure to read the additional installments of this blog series. They’ll be published soon. Have you or someone you love been hurt in a highway work zone collision – or in any type of traffic accident? If so, you can turn to the Littleton car accident attorneys at Bahr, Kreidle & Flicker for experienced help. A choice to work with the trusted Littleton car accident attorneys at Bahr, Kreidle & Flicker can empower injured people and give them confidence that their important legal matters will be resolved as favorably and efficiently as possible. To get more information about your potential case and rights, let’s meet for a free, no obligations initial consultation. To set up a meeting, call us at (303) 794-7422 or email us using the contact form on this page.